I've been told that I'm too dramatic at times. I complain. I curse. I overreact. I vent. My friends and family know this about me and, thankfully, they know what I know - I really don't care about 90% of the crap I complain about, nor am I really all that invested in the stuff about which I so often vent. I mean, I'm a Cubs fan, guys. As a baseball fan, I was raised on managing constant instances of what this episode is all about. It's what so many consultants and screenwriting experts call - the Low Point. Growing up as a Cubs fan, every day was a low point. For those of you overseas who don't care about American baseball or know anything about it, imagine a sports team that has been around for a hundred years and hasn't won a championship. There ya have it. The Chicago Cubs. But I digress... and I need to digress, otherwise this entire episode will be about my unfortunate love for the Cubs. This season for the Cubs, however, has been very different, but I'll get to that. Like I said, I'm dramatic and I love to complain. It's who I am and, well, I kind of like that part of me. It helps get the junk out so I can be a happy person again. Because, I actually am a happy person. Nonetheless, just because we like to complain now and then, doesn't mean that we're experiencing a low point in our lives. 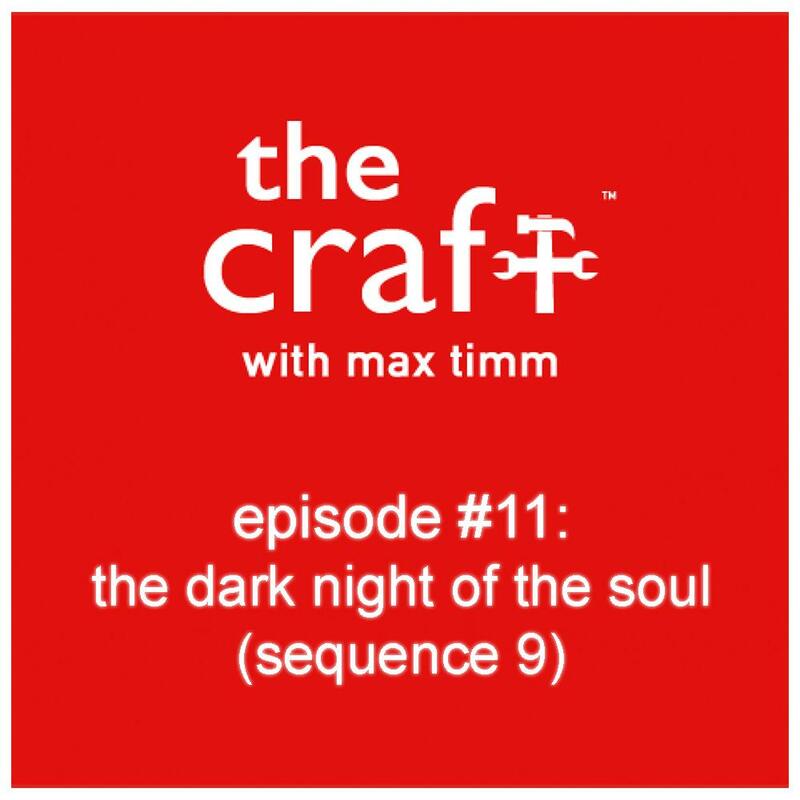 It certainly doesn't mean we're experiencing a quote un-quote, "dark night of the soul" and hence the name of this episode. The reason I bring this up right off the bat is because we, as writers, need to understand how low we really need to go in order to present sequence 9 of a screenplay.